Mercury filing cabinets have been created specifically for commercial use and are ideal for high volume storage where floor storage space is restricted. Each drawer has a full length label holder for easy identification as well as double extension ball bearing runners for full drawer access and an anti-tilt mechanism to ensure operator safety. 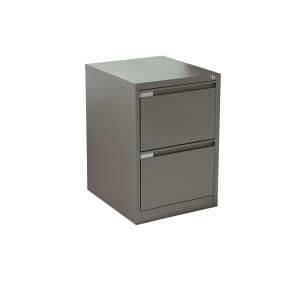 This filing cabinet is available in three size variations.